How long has your business operated? Peter: We have been in business since 1994. Peter: We built a restaurant simply to connect the farm-to-fork local food movement and to re-connect people to farms. Peter: It’s easy to say all, but in reality all should! 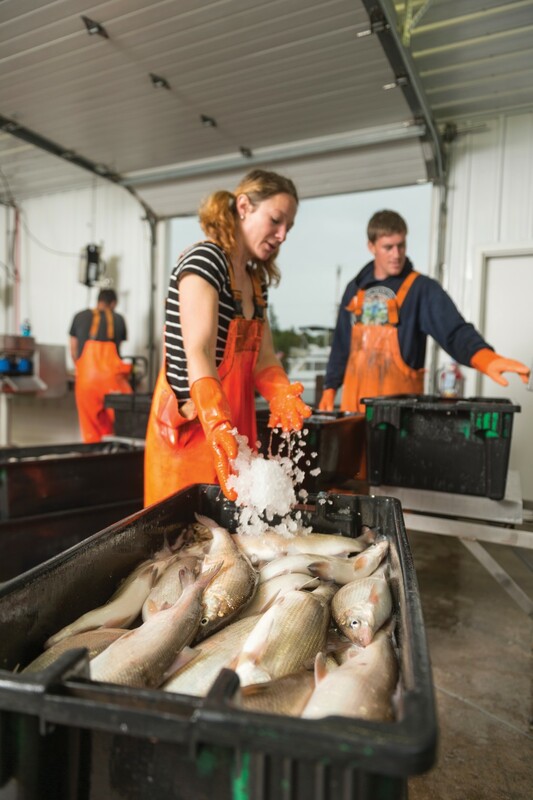 We have great options right here around the state, local businesses benefit from the sales, the money stays local, and fresh fish is hard to beat. Peter: When rainbow trout are about 5-6 inches long they eat like crazy; we call them teenagers! Peter: Basically, we are just copying Mother Nature. Everything we do is so simplistic with earthen ponds filled with weeds mimicking lakes and rivers—all natural. Peter: I love the classic trout almandine with brown butter. Peter: Yes. 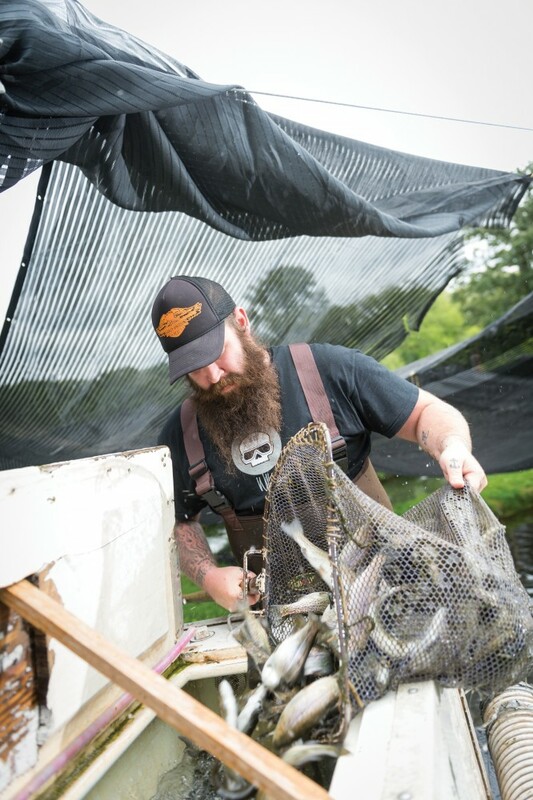 Then if they mention an article or some famous person bashing farm-raised fish I invite them to the farm. That is when they have their a-ha moment and say, I never knew this was done this way. Peter: Rushing Waters Fisheries has over 60 employees. Basically, we are just copying Mother Nature.